Thanks for all the great feedback on my last entry (make sure you check it out if you haven't already... it's a giveaway!). I always thought I was boring you to death when I wrote about running, but it turns out quite a few of you enjoy reading about that--who'd have thunk it?! For those of you that e-mailed me with requests for the cardiac special Peanut Butter Chocolate Cookies, I ended up posting the recipe. You can find it here. I've been feeling so discouraged about my weight lately. I've been sitting between 145 and 150 for MONTHS. I haven't seen the 130's since before I went to Tennessee in April. 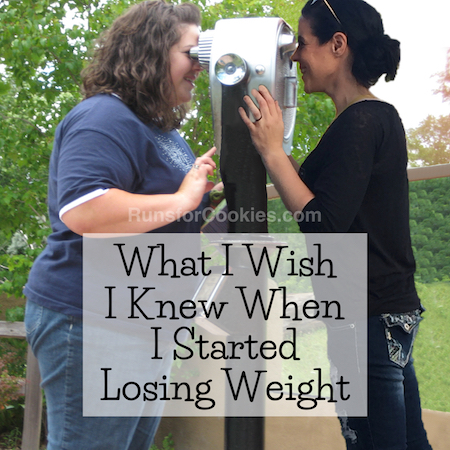 I've been thinking about when I was actively losing the weight, and what I was doing then that I'm not doing now. I know it seems I'm always whining about this, but I WANT TO GET BACK TO GOAL. I don't know why it's so damn hard for me to just do it! I lost 125 pounds in 16 months... so certainly I should be able to lose the 20 I put back on. Right?! *I was logging my food EVERY DAY. No matter what I had going on, I tracked my calories. No exceptions. And I stayed within my calorie limits--ALWAYS. *I was having much more dairy then (now I only consume dairy through cheese, and that's not very often). I think dairy is what caused me to get adult acne (or at least make it worse). *I weighed in and posted that weigh-in every single Wednesday. I think it's very clear to see what I was doing differently. But the part that I just cannot seem to get back into is my mindset. I'm having such a hard time with the same thing that so many of you ask for advice on: How to STAY motivated and follow through. Anyone can count calories and eat right for a few days. It's the staying consistent part that trips 99% of us up! 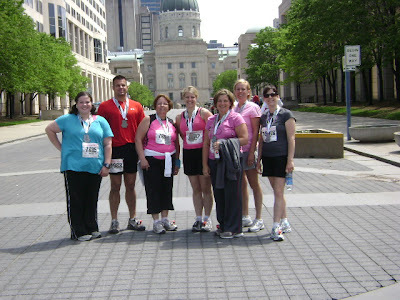 The main difference in my mindset now vs. then is that I used to have two major goals: 1) To be PROUD of my pictures from the Indy 500 Festival Mini-Marathon (after 2008's and 2009's horrible "fat" photos); and 2) To lose 100 pounds in a year. 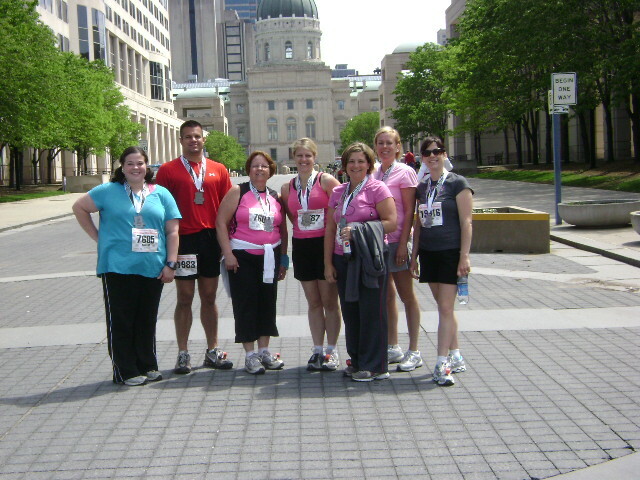 To be honest, the thing that kept me the most motivated was my annual Indy trip for the half-marathon. I kept remembering how awful it felt to be the fattest person in our group, to be one of the fattest people doing the race, to see guys checking out my friends and completely ignoring me. As vain as it sounds, I wanted to FIT IN and look like I belonged. THAT was my motivation for all the times that I wanted to quit and binge. I think that now, I'm having a hard time finding something like that to hold on to. I know that I look decent as a size 6, so what is the motivation to get back to a comfy 4? I'm the same size as a lot of my friends, so I "fit in". I can meet my running goals at this size. So where is the motivation to get back to goal?? The ONE thing I can think of is that I want to be in People magazine's Half Their Size issue. Long before I started losing the weight, that was something I dreamed of. Remember when Oprah did those shows about that book The Secret? And everyone made those "vision boards" or whatever they were called? Well, I actually bought a small bulletin board, and the ONLY THING that I posted to it was the cover of People magazine's Half Their Size issue. Seriously. The ONLY thing. 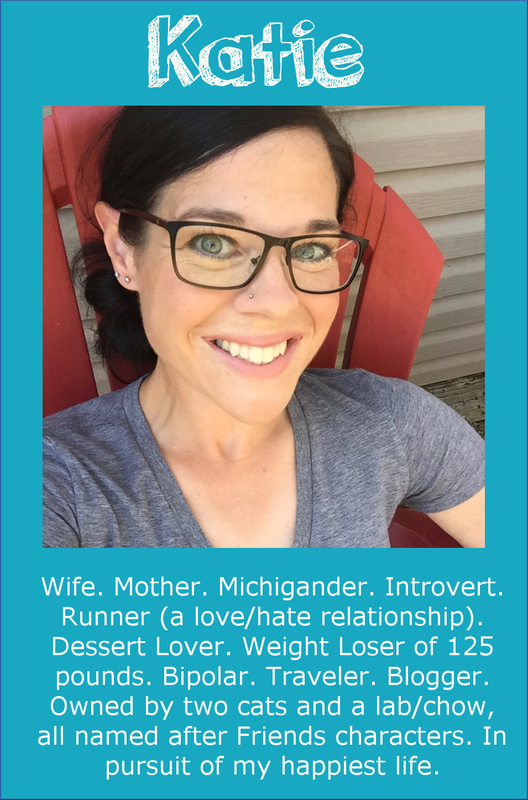 Earlier this year, the PR Director of Sparkpeople asked me if I was close to reaching the half-my-size goal, because he wanted to recommend my story to People. The deadline came and went, and I wasn't there yet. 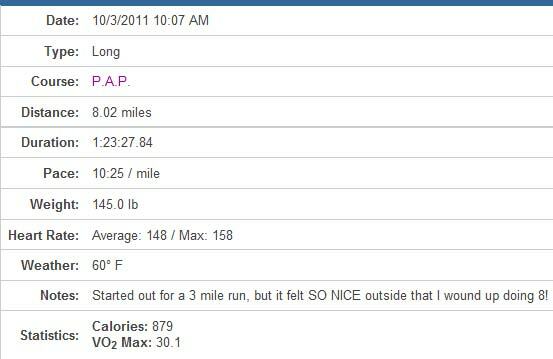 However, he said I can always do it for next year--meaning I'd have to lose the weight by July 2012. Seeing as how I'm turning 30 in January, how awesome would it be to reach my goal weight and be selected for my wildest goal EVER (People magazine) to kick off my 30's?! So I think I need to really focus on that, and do whatever I need to do to reach that goal. I need to keep in mind that I want THAT to happen much more than I want to eat _____ (fill in the blank). I have almost 4 months until my birthday, and I think it'd be awesome to reach goal weight by that time. Roughly 5 pounds a month is totally do-able. I just need to stay consistent and focus on my goal! 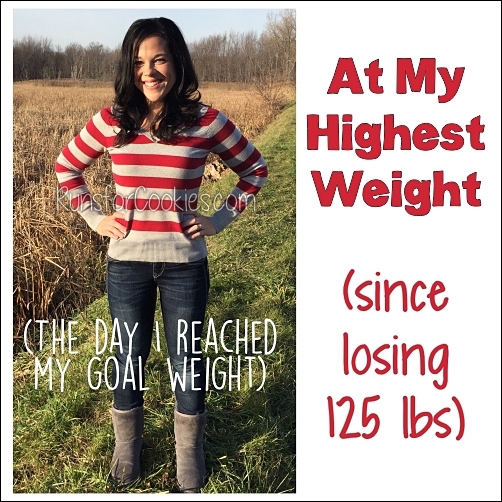 To accomplish this goal, I am going to have to go back to logging my food every single day. I'm also going to weigh-in every Wednesday and post a scale picture, like I did when I was losing the weight. If you notice that I don't do it, PLEASE call me out on it! I need to feel accountable to someone. Okay, so I started today with a run. I only had 3 miles planned (taper week because I'm doing the 10-K race on Sunday). However, once I was out and running, I was feeling SO good, and the weather was SO nice, I decided to keep going... and I wound up doing 8 miles! I actually wanted to keep going, but I didn't want to do too much before my race. Let me be clear that it is VERY RARE that I truly enjoy running like that. I think I'll take tomorrow or Wednesday off to get an extra rest day in this week. I came home and made a pumpkin smoothie for lunch, which turned out gross--I'm sure it's because I put yogurt in it, and you know how much I hate yogurt. I thought the other ingredients would cancel out the taste, but they didn't. The reason I was using yogurt in the first place was because I accidentally froze my almond milk. It was in the way back of the fridge, which is cold enough to freeze almond milk, apparently. I thawed it out, and it looked nasty--curdled and like water with chunks of white in it. Yep, I went grocery shopping after that. And I even carried all 14 bags of groceries and a gallon of milk from the car to the house in one trip. I totally felt like a rock star when I did that. I was bummed that nobody was here to clap for me. Do you try your damnedest to carry all your groceries into the house in one trip? Jerry always tells me that it would just be faster to just take three separate trips, because I spend so much time meticulously placing bags on my arms and figuring out how to carry it all at once without breaking the eggs or smashing the bread. I like to make several trips- it's an extra 5 minutes of exercise with all of those steps in front of my house! I think I have gotten a bit complacent with logging and sneaking food. I'm not kidding anyone but myself. I've also been hovering between 148 and 151 pounds. I really want to be around 140, but apparently that's going to take a lot more effort on my part to get done. I know how much I'm doing just to maintain where I'm at right now, will 140 just kill me? Do you think you'll be able to maintain 130 easily? I so just want to eat and that's why I work out as much as I do. My husband still thinks I need to eat more and stop losing. He was so supportive up until now. Love your blog!! I am starting to track my calories because for some reason WW was not working for me. I did WW in college and was able to loose, now I can't after 2.5 months so from reading your blog and another blog, I have reverted to the calorie counting. Haven't seen a change in weight loss yet but hoping it works out. I would love to see you make People's Half your Size issue! You can totally do it. 5 pounds a month is very reasonable! Can't wait to see how you do. I ALWAYS try to see how many bags I can put on my arms so I don't have to take numerous trips up and down. I think its from living in apartments for so long that I had to because I hated going up and down all the stairs. Like tonight, I know I'm going to the store and will have a couple of bags to take in so sometimes I fill the bags to the top at the store so I only have 3 or 4 bags instead of the 8 or 9 knowing that I only want to make one trip from the car to the house. Haha.. I always see how many I can carry in one trip. Throwback from living in high rise apartments! I lost about 25 pounds and have been sitting at 160 for 6+ months. I'm in the healthy BMI range but I just can't motivate myself to lose another 10-15 to get me to a "comfortable in a 2 piece" weight. Grr! I am the same way with the last 10-15 pounds. I think there is a disconnect in our brains between what we want to /feel we should weigh, and fight to get there. Then the body actually settles in to the weight it wants to be. Your body's happy weight may not be your happy weight, but if you keep staying at the same weight, it might be the best place for you. Think about what you would have to do to get there and then *stay* there. Would you be happy having to do that? 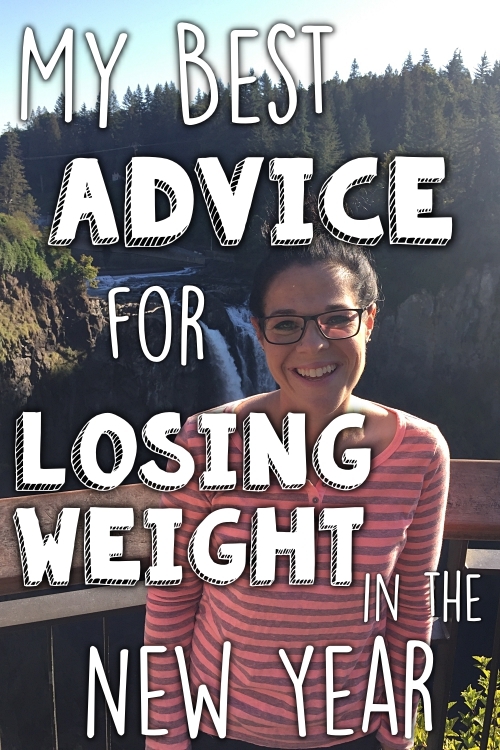 If so, then go for it, but if you are happy with how you look now (which I think you look great), and are comfortable with how you are eating, then stay. 14 bags at once?! You go girl! I know how you feel about trying to bring all the groceries into the house at once...I can never do it so now I make my husband do it lol. I am having the same issue logging the calories, I just find it so tedious and I fell like unless you are actually weighing (not just measuring) then it's not all that accurate. Maybe I'm just making excuses. My fiance and I ALWAYS make one trip with grocery bags...no matter how many! We must look soooo comical! 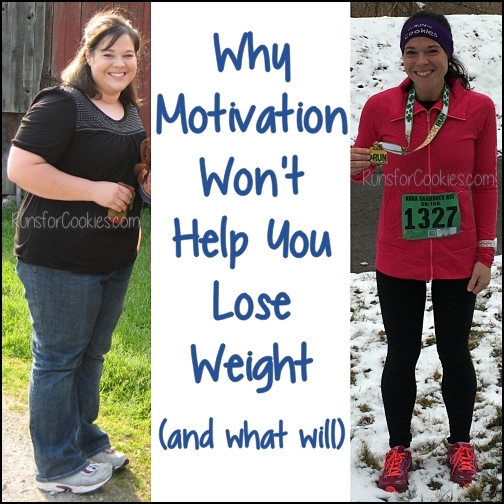 And I TOTALLY agree with you about motivation with calorie counting. It's super easy to be all excited the first few days and count every single bite, but after those days....the motivation is thrown out the window. Happens to me all the time. That's why for over 6 months I was struggling back and forth with the same 5lbs. It was awful! I finally broke into ONEderland but now I'm back at struggling. 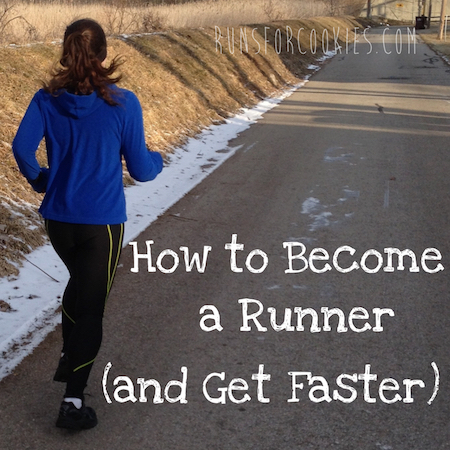 It's great to have a major goal in mind (mine is now trying on wedding dresses in Nov!) and I think your birthday/getting on the cover of People is a great motivator for you! DON'T GIVE UP!!!!! You can do it! I miss your Wednesday weigh-ins! I make my husband go grocery shopping with me, and he usually takes the bulk of the grocery bags. He always thought I was so meek, so it has become a habit. One day he came home and I had rearrange every single piece of furniture in our apartment, you should have seen the look on his face when he said "how in the hell in did you lift the couch"! How cool it would be if People did publish your journey/story!!! I have all the faith in the world that you can reach your goal by next July! Carry all the groceries into the house in one trip? Heck yeah! The person who can gather all the groceries, shut the car door, open the house door, and gingerly place all the bags down without breaking anything (or cutting off circulation to their digits) WINS! That's my philosophy! Give it hell Katie, and I will be looking for you in People Magazine! We always make one trip... regardless of how many bags we have to pile on my husband. He always takes all the heavy ones, too (probably to prove how macho he is...). I agree you need something to hold onto, and I think that being in People would DEFINITELY be it - you can do it and you have so many people to be accountable to - GO FOR IT! Lmao! I usually have the boys help me carry in the groceries so it will only take one trip. There's usually no way one person could carry them all. I'm sure you'll make your dream goal girl. Getting re-motivated is HARD. I hope you find a way to make it work for you and get to your goal by your birthday! OMG! I LOVE that people issue. You can totally do it!!! Same...I try to carry the bags but usually end up saying "screw it I can come back for more"...funny that you actually do it....or cool?! Ha! Yay!!!! That would be so exciting to be in People magazine!!! It would make me buy it for sure!!!! I usually make a few trips into the house after grocery shopping, but my car is right on the other side of the door from the kitchen, so it is not too much extra effort!!! I think once you have your surgery, you will not have nearly as much weight to lose to get to your goal. Of course, I know how much you probably want to be there now! (Don't we all?!) Sometimes it's easier to try something new instead of going back to what worked in the past. Keep that in mind, in case your plan doesn't work out. As for groceries, I totally carry as much as possible into the house. It very rarely takes me more than one or two trips to get it all, even if I have milk, laundry soap, and a giant case of water! LOL! I've been reading your log for a few weeks now. Found you through SparkPeople, and you have been a total inspiration. Anyhow, I was just curious as to what you used to make your pumpkin pie smoothie? BTW-- like your recipes and meal ideas. I feel your pain!! Motivation is really lacking for me right now. I think the People Magazine goal may work for you since having a "big goal" worked for you before. When you were overweight before, the pain of being that size probably outweighed the "pain" of dieting if you will. Now that you are a healthy size, you don't have that same intense pain. Yet you have the same longing to be a smaller size. You did mention the other day that you enjoyed going to a restaurant and eating "normally". It is true that if you go too low you may have to work hard to maintain, and that won't be fun. PS I am going to follow your lead and post a weigh in weekly. I will start tomorrow morning. UGH. :) I probably won't get to post the photo until evening though. I do one trip also bit I live on the 3rd floor! All those steps are killer but it is easier to do one trip with 2 kids than multiple trips. Glad to hear you are going back to logging your food and weighing in! That is seriously the ONLY thing that works for me. If I don't log, my brain suddenly takes a left turn and what used to be a "normal" portion for me, suddenly starts getting a little bigger, and then I start adding in a bite of this and that. I just can't do it! SUPER EXCITED for you and your new goal! I ALWAYS buy the issue with the men and women who have lost 1/2 their size. I would be so stoked to buy YOUR ISSUE!!! YOU CAN DO IT SLIM KATIE! !